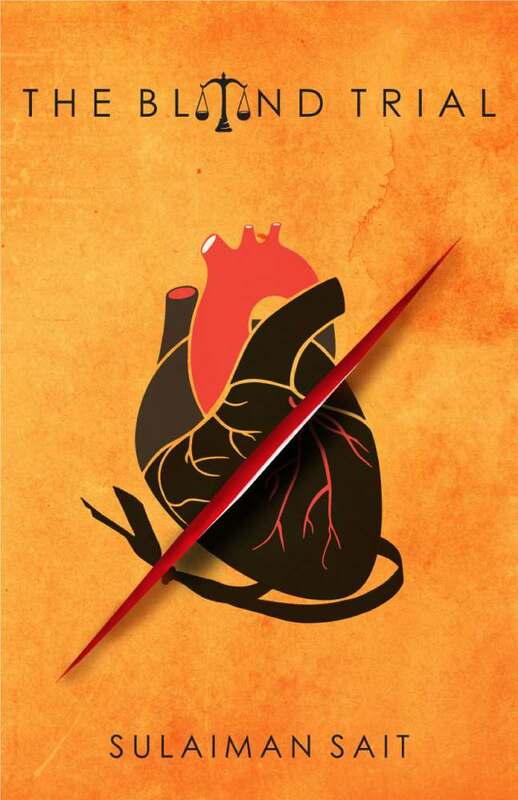 The book is a medical thriller. The story revolves around a young PG doctor (Dr. Nitin) who witnesses a series of unexplained cardiac deaths happening at the hospital. Just as he decided to find out the reason behind it, he comes to know that all the deaths are happening because of a blind trial (a clinical trial). He decides to act bravely and save many more people from becoming a victim of this trial and that's when he comes across myriad challenges and finds out the shocking reason behind all these deaths. He plots a master plan and cheats his death during this only to find the real culprit and get them arrested. 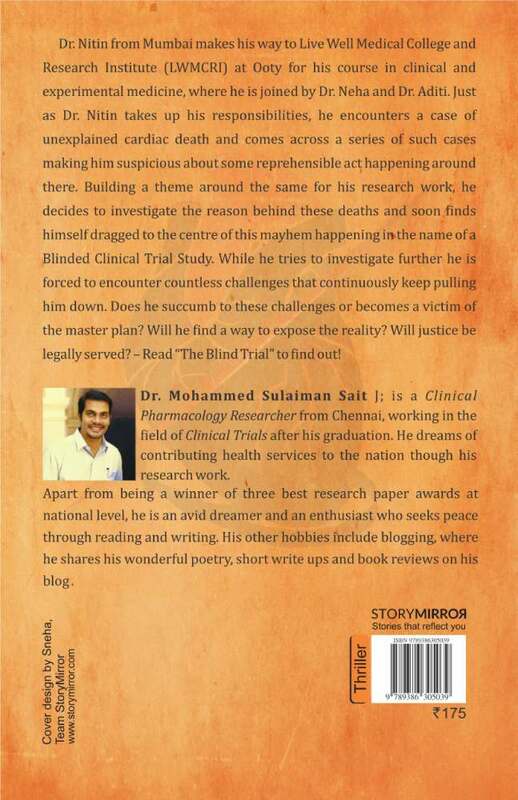 Dr. Mohammed Sulaiman Sait J is a clinical pharmacology researcher from Chennai, working in the field of Clinical Trials after his graduation. He dreams of contributing health services to the nation though his research work. Apart from being a winner of three best research paper awards at national level, he is an avid dreamer and an enthusiast who seeks peace through reading and writing. His other hobbies include blogging, where he shares his wonderful poetry, short write ups and book reviews. Listed amongst the top 15 blogs on self improvement in India, his blog – “Sulaiman’s Work- My Dream Mausoleum” has over 100 poems and a couple dozen book reviews. His style of writing includes naturally rhyming his poem with apt words that could easily make anyone a fan of his writing. He is also known for his podcast series “Talk-a- thon with Sulaiman Sait”.